Sport Clips will be opening locations at both Snellville Promenade on Scenic Highway in Snellville as well as in Suburban Plaza near Decatur. Georgetown, Texas-based Sport Clips is a male-geared hair cut shop with franchises nationwide. There are currently about 40 Sport Clips locations in Georgia. The Snellville center in anchored by HomeGoods, Best Buy and The Fresh Market, while Suburban Plaza is anchored by Walmart, HomeGoods, LA Fitness, ROSS Dress For Less and soon Jo-Ann Fabric and Craft stores. 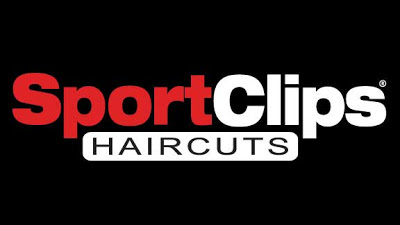 Learn more about Sport Clips here. Items being taken are electronics left in the cars are wallets and cash and some were broken into anyway with nothing taken because owners left nothing of real value in the car. Last month, Decatur Police offered the following tips to help people avoid becoming victims of a vehicle break-in. Tips given would be for people not to leave valuables in their vehicle, and in some of these break-ins nothing was taken, but the vehicle was broke into with the belief of hoping to find items that may have been left in the vehicle. 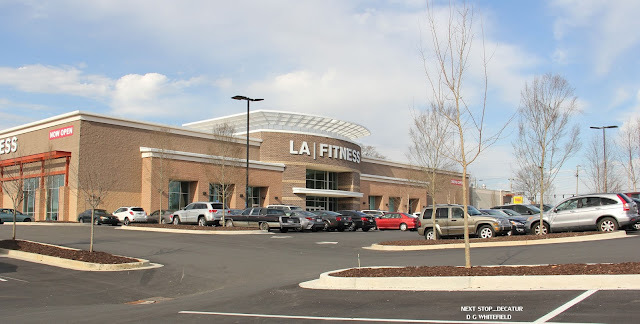 They recommend parking as close to a business as possible where foot traffic is higher in order to increase your vehicle’s visibility or parking it in front of large windows. --- --- Moe's gets a facelift Coment Pub & Lanes is expected to open by April. A sign was erected recently announcing a new retail center. 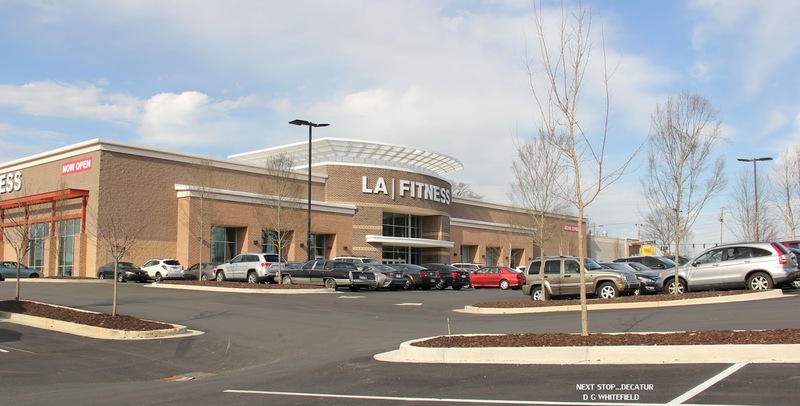 Leasing is being handled by Crim & Associates, a Sandy Springs-based commercial real estate firm. I previously linked to a listing by LaVista Associates, Inc., but it would appear Crim has now taken the lead. 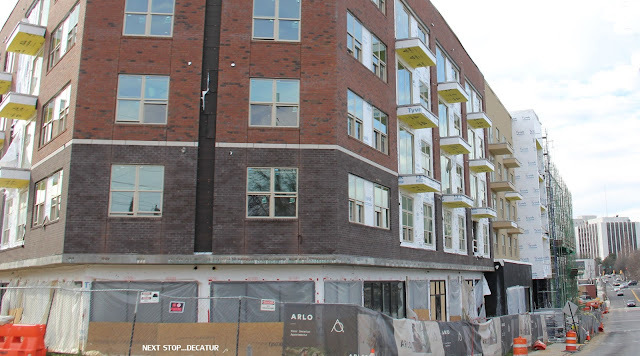 I contacted Crim's Steven St. Paul, the leasing agent for the property, who indicated that they have received significant interest in the new center but that they have no leases signed. St. Paul indicated that the center is likely not to be completed for another year. I also inquired how many spaces the center would have, to which St. Paul responded that the number of spaces would be determined by the types and sizes of users that commit to the center. Jerry Hendrix of Toco Properties, owner of the Kroger portion of the center, indicated that there will be no curb cuts permitted between the new center and the Kroger portion. This access restriction was reportedly among the issues that hindered development from taking place on the parcel previously. 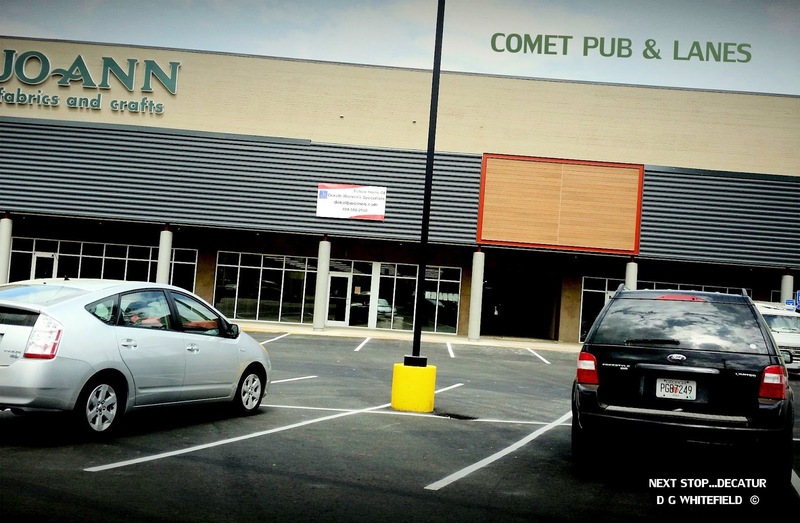 SnoBall Moving out and Mellow Mushroom moving in. 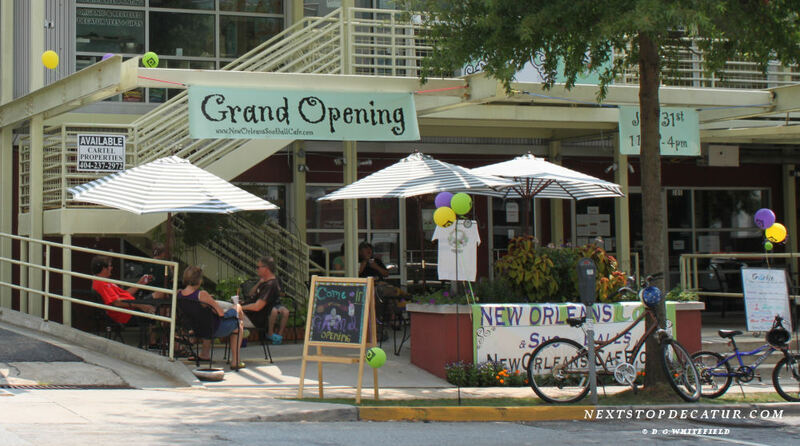 Decaturish.com is reporting about New Orleans SnoBall is moving it's operations to Stone Mountain Village in April and may come back to Deatur in the future And Mellow Mushroom will move into that space and knock down a few walls to make it bigger. Collecting things can be fun, and It's great when you find it. This is for you Mom. March 19, 11 am | Front lawn of First Baptist Church of Decatur, 308 Clairemont Ave. 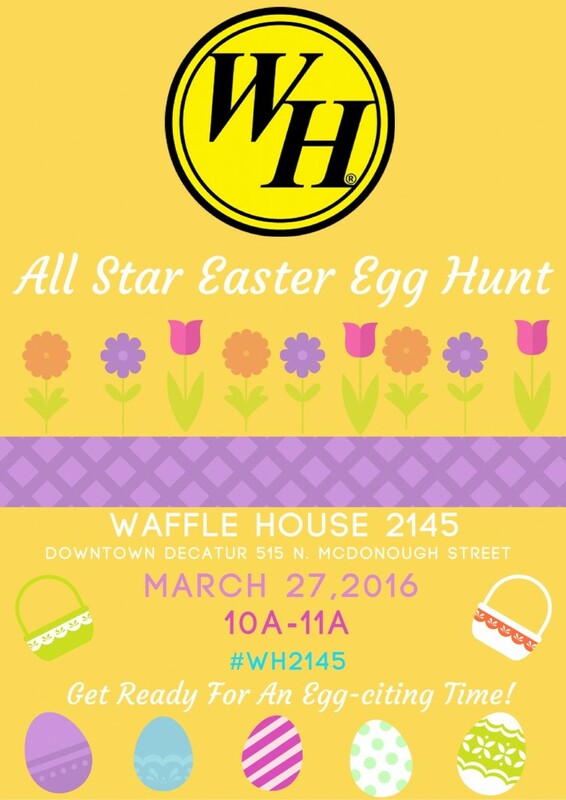 The annual DBA Easter Egg Hunt returns Saturday, March 19 from 11 am to 1 pm. 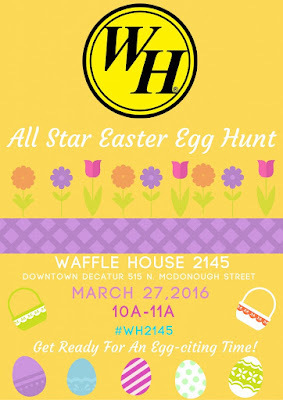 The bunny arrives at 10:30 am, and the hunt begins at 11 am sharp. This year the hunt will be staggered by age groups so that parents with more than one child, in different age groups, can experience the fun with each of their children. In coordination with Little Shop of Stories, the Georgia Center for the Book welcomes award-winning author, actor and director Henry Winkler and his writing partner Lin Oliver. They will discuss Here's Hank: You Can't Drink Meatballs Through a Straw, the seventh book in their Here's Hank series. Mr. Winkler will not sign any memorobilia; and due to the expected large crowd size, the number of books you may have signed may be limited. 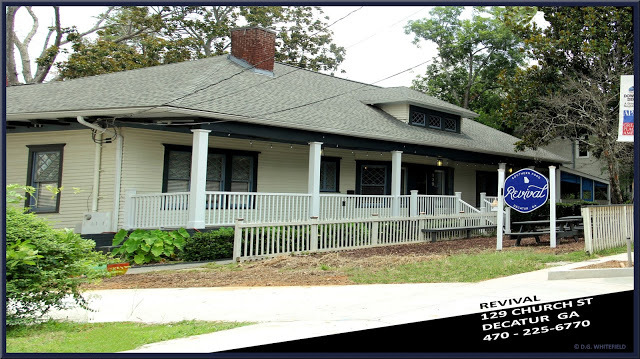 Revival to Open a Beer Garden out back. I’m about to open a beer garden [in Revival’s backyard] because I really love European-style beers. And as a self-professed redneck by birth, I do love moonshine. 13 Questions is a weekly series where we ask chefs 13 questions to get to know them outside of the kitchen. Kevin Gillespie is the chef/owner of Gunshow and Revival. What’s one thing you wish you knew how to cook? One of my favorite things in the whole world is American-style Chinese food, and I’m afraid to learn how to make it because I’ll ruin it for myself by making it too fancy. I really love Mongolian beef. My favorite place here is China King. When you aren’t cooking, what do you do for fun? I am an extremely avid outdoorsman and fisherman. I hunt everything. That was how I grew up—we kind of relied on whatever we could hunt or fish to fill the freezer. Now, myself and my dad and my uncles, we always plan multiple western hunting trips, like Rocky Mountain goats in Canada, sheep in Mexico in mountains. What we call camping, most people would call survival training. You find water, and you hunt for food. What’s the last TV show you bingewatched? My wife and I watched all of True Detective back-to-back. We literally stayed up all night. It was intense. And it was 5:30 in the morning, and Val is an attorney, and she had to go and get ready for office. What’s your guilty pleasure fast food? Buffalo wings. They might be my favorite food. Sylvester Stallone has been in Atlanta, presumably for now-filming “Guardians of the Galaxy 2,” and posted a unique selfie from one of the city’s most treasured cultural institutions. 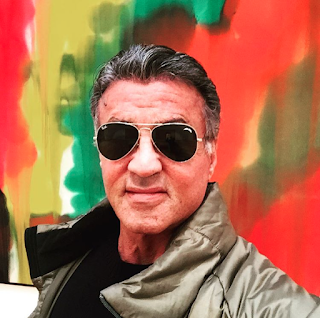 Stallone, who won a Golden Globe and was Oscar-nominated for his role in “Creed,” stopped by the High Museum of Art on Sunday and posted in front of one of the pieces in the permanent collection. We’re told this is piece is “Para III,” by artist Morris Louis. If you want to strike a similar pose, the piece is located in the skyway level of the Wieland Pavilion. 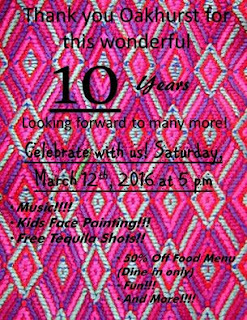 To plan your visit see the High’s web site. 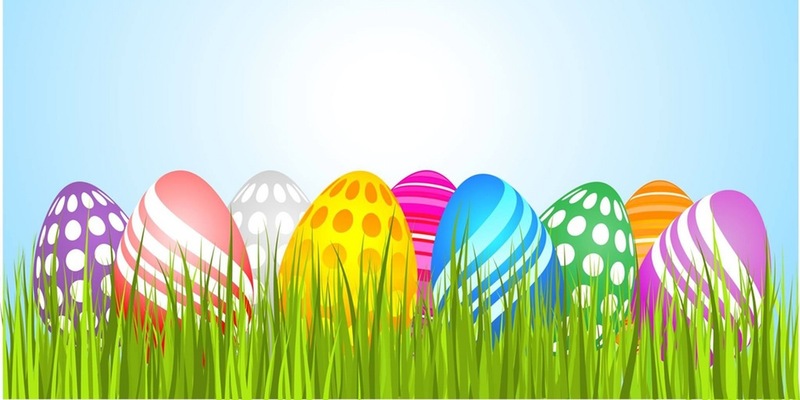 This festive event is the perfect way for families to welcome in spring with opportunities to meet live baby animals, find prize-filled eggs, play fun games, participate in special activities and more. 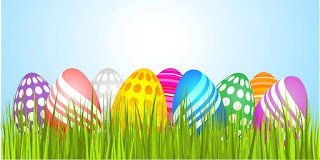 Cost: All Spring EGG-stravaganza activities are included with are included with Museum admission and are free for members. Activities are subject to change without notice. 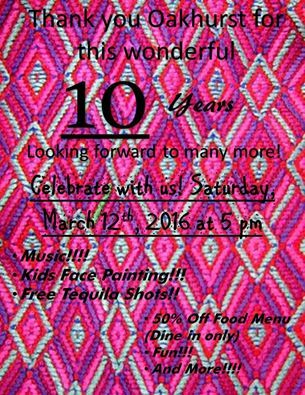 On Saturday March 12th Mezcalitos Cantina will be celebrating 10 years. A New Detour for bike-ped starts Friday March 4 on E. Trinity Place near E. Howard. A new detour for bike-ped starts Friday (March 4) on E. Trinity Place near E. Howard. In order to extend the streetscaping improvements along Trinity, the builders of the Arlo building http://www.centrodevelopment.com/arlo.html will require space to do their work at and around the existing crosswalk. Starting on March 4th, a bike and ped detour will be set in place to travel around this area. The PATH Trail will remain open, however access from the trail across E. Trinity Place will not be possible. The detour will remain in place for three to four weeks. The City has carefully considered the temporary closing and the detour. Please know that we understand the inconvenience that this will bring for some. The detour will ensure safety and provide for the construction of a much better sidewalk on the south side of E. Trinity Place. 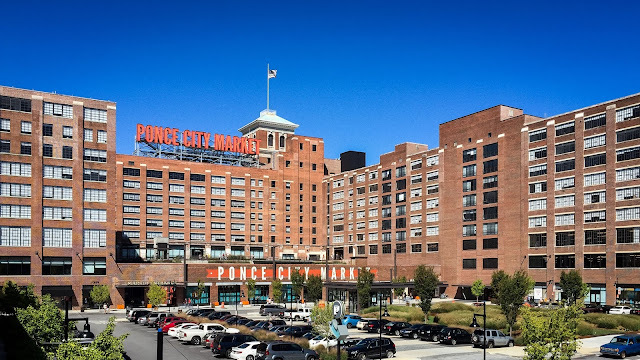 The cherry atop Ponce City Market’s adaptive-reuse cake is almost ready for public consumption. The Old Fourth Ward mixed-use goliath’s final phase — a carnival-themed rooftop funland with miniature golf and food options known simply as The Roof — will host its first event April 3, the Atlanta Business Chronicle reports. Jamestown Properties, the market’s developer, has planned a charity miniature golf tournament that day with several Atlanta Hawks players scheduled to attend, including Al Horford and Kyle Korver, whose foundation is a partner in the event. It’s a positive sign that the years-long PCM project is nearing completion (work near the Beltline notwithstanding), and The Roof will surely ratchet up its status as a landmark tourist attraction. For the general public, though, The Roof isn't expected to open until mid-2016. The building’s original freight elevator will lift guests up to the 10th floor rooftop, where they’ll find boardwalk-style games like skeeball, event space, a large slide, a viewing platform inside the market’s huge rooftop marquee, plus a restaurant, according to Atlanta magazine. So it could be worth the wait. 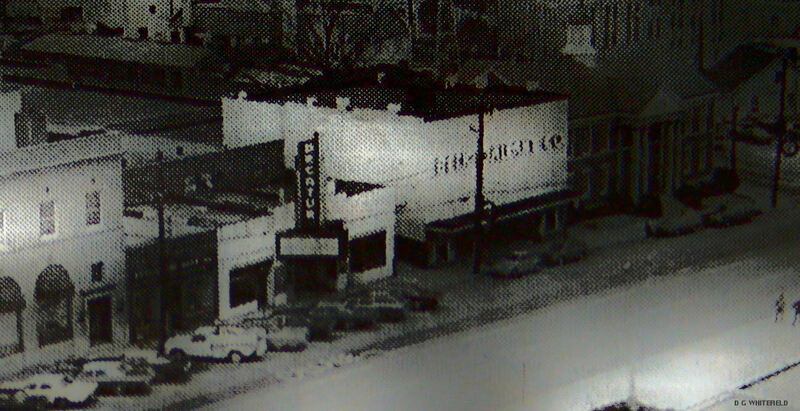 What memories do you have of The Decatur Theatre and The Belk-Gallant store in Downtown Decatur Ga. ............This photo is circa 1972. To see this better click on photo to enlarge it. Hush Hush Sweet Charlotte. Scared me to this day of the hand and head being chopped off. Neil Shattles Belk's had great quality men's shirts at excellent prices. In high school 1960-65 I bought a lot of clothes there. Dorothy Haynes My friend's mother use to drop us off at the theater and my dad would pick us up. We went to see Pillow Talk with Doris Day and Rock Hudson. We sat through it twice and staryed it a third time. My dad came in and dragged us out!!!! Henry Howard Worked as a projectionist. Enjoyed watching the couples on the back row from above. Scottie Atkins Spry Remember going to the Saturday matinee with friends - news reels, cartoons, the works! Sometimes we got to browse the toy department at Belk's until time for our parents to pick us up. Oh, the days of the Barbie outfits - we were so excited when they got new clothes in! Connie Roberts Went there many, many times. That old store rambled. Bill bought most of his clothes there. Kay Teien Blackstock I still have a button from Decatur Theater, 101 Dalmations (1960?). Shopped a lot with my mom at Belk's. Good memories. Steve Powell Tony, my brother, and I would walk there every Saturday morning to the matinee that Dad didn't get us to mow the grass or rake leaves. Sometimes, we begged him to let us do the yard work when we got home. Remember the serials of Jungle Jim and Flash Gordon with Buster Crabb. Linda Lane Kennedy Remember it well!! Beverly Burns Bought my first pair of jeans in the boys department at Belks! Lynn Carper I remember seeing Elvis Presley in Kissing Cousins at the Decatur Theater. We did shop at Belk when we were over that way. Ed Sauls Winning second place in the Simon Says contest when Officer Don came to the theater. Seeing The Creature From the Black Lagoon on Saturday morning. Suzanne Hopkins Blievernicht Loved Saturday matinees at the Decatur Theater when I was in charge of my rowdy younger siblings. Never understood the signs on the restrooms and water coolers at Belk Gallant that said "Whites only." Helyn Hosch Kesler We used to go to the movie and then afterwards we'd use the phone in Belk's to get a ride home. I remember the ladies that worked there didn't like that! Margie Peacock Hardy Saw lots of movies at the theater and remember shopping at Belk's often. I saved up babysitting money & bought a new bedspread & curtains at Belk's when I was in the 5th grade. It felt so good to buy them with MY money! I remember playing on the stairs & going down them on our bottoms! Lots of great memories in Decatur! Dot Barnes Kenimer Yo-Yo contest at the theater! Helyn Hosch Kesler I saw Bestoink Dooley at a Saturday matinee! Karen Herrington Woodall After the movies, we went to Belk's as well. We would be picked up at the back entrance, so we got to walk through the women's shoes which I loved! Fun memories. Bob Jones I was a foster kid, a ward of DeKalb County Family and Children's Services. DCFS had an account at Belk-Gallant which is where I went to buy all of my clothes. Michael Waldrip Saw all the beach party movies there and remember going to the yo yo clinics on Saturday mornings. Elizabeth Thornton Wright A couple of our family members worked at the Belk-Gallent store. Ruthanne Mulvihill Went to the movies all the time (first date place!) and worked at Belks on Friday nights and Saturdays for several years. Both hold wonderful memories, as does all of Decatur during the 50s. 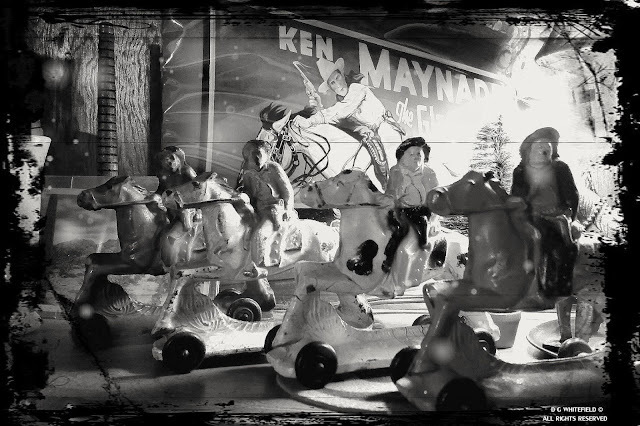 It has changed greatly since that time, but it is still a wonderful place.